Our children's sessions focus on capturing all the important milestones in your childs life. Sessions can be done indoors or in studio. Mini sessions are done in studio only. Our boutique style studio offers a small, comfortable atmosphere so your child feels comfortable for their session. We make sure to take our time and ease your child into their session to ensure we capture theri many pricelss expressions. Our children's sessions can be a full session or a mini session. We reommend bringing a couple outfits so we can offer a nice variety of images for you to choose from. Letting us know what they will be wearing ahead of time helps us to prepare and choose backdrops and set ups for your child. Full sessions can be done on location as well at your home or at an outdoor location. Our cake smash sessions are a great way to capture your child's first birthday. All of our cake smash sessions are custom designed to match your colours or themes for your child's party. We provide the stup and balloons, you provide the cake! 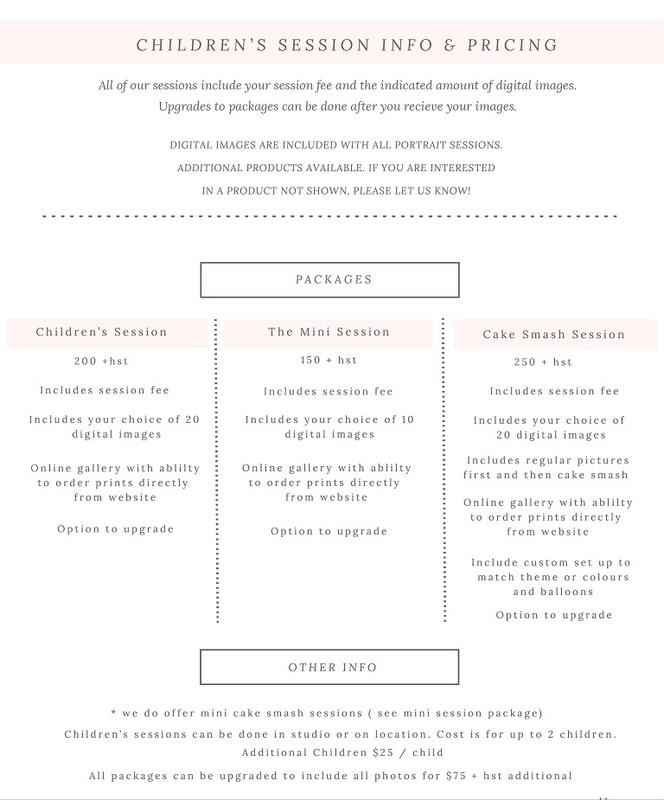 Cake Smash sessions can be a full session or a mini session. Full sessions include regular photos first and then the cake smash. Mini Sessions include the cake smash part only. Sessions for children can be done at any age. We encourage our clients to keep photographing their family even after all those important first milestones. © 2019 Jillian Wilhelm Photography|ProPhoto Photo Website|Designed by Seaside Creative.